We’re focused more than ever on accelerating your growth with the solutions and support you need to succeed. This year's event, themed 1VISION, reflects the commitment to our relationship and mutual success by working together to beat the competition, expand your business, and improve your profitability. The cost to attend Channel Partner Expo for all North American partners (U.S. and Canada) is $450 USD (Canadian Partners will be charged the CAD$ equivalent using the Motorola exchange rate at the time of payment) for each partner attendee. 2016 Elite partners will be charged $400 USD (which reflects a $50 discount) for each of your company's CPE attendees. The last day to register for the CPE is February 17, 2016. For more information on Co-op reimbursements and PartnerEmpower status, please refer to the "REGISTRATION & CO-OP FEES" tab above. Hotel room charges are not included in the conference fee. All conference attendees will be directed to the hotel website at the conclusion of registration to secure a hotel room. Individuals must identify themselves as being with the Motorola Channel Partner Expo 2016 at the time the reservation is made to receive the conference rate. Reservations must be made by 5:00 p.m. (Pacific Standard Time) on February 17, 2016. 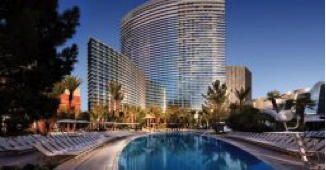 NOTE: To receive Co-op dollars for your travel (up to $1,000) you must stay at the Aria Resort (no exceptions)..
All other trademarks are the property of their respective owners. ©2016 Motorola Solutions, Inc. All rights reserved.